Located near Topanga Canyon in Los Angeles, the Mountain Mermaid Inn is a fun and quirky wedding venue for couples who love a mixture of old and new in their photography. For couples looking for something a little bit different, the Santa Monica mountains serve as a stunning backdrop for this unusual building built in 1930. Over the years this wedding location has been a country club, gambling house, a gay nightclub, American legion hall, boy’s school, theatre, and a concert hall. Today, it’s a great place to get married. I’ve photographed several weddings at this event space, but this photograph is one of my favorites. 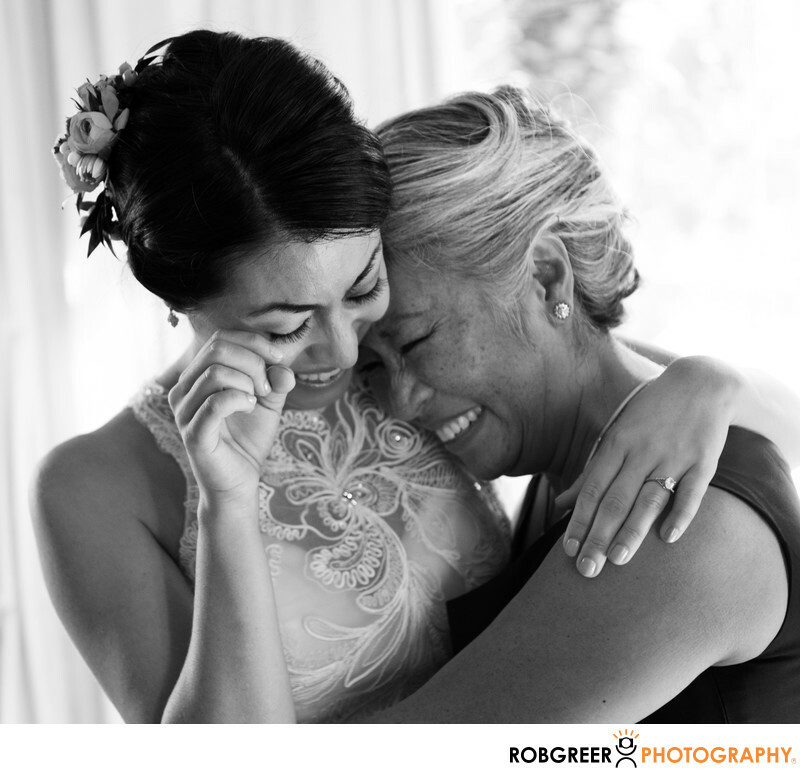 It features a very special, emotional moment between the bride and her mother. The candid photo speaks to my emotions in a way that you can probably appreciate. Location: 20421 Callon Dr, Topanga, CA 90290. 1/60; f/4.0; ISO 2000; 65.0 mm.